Are There Still Good Daytrip Destinations In and Around Metro Manila? Getting bored in Metro Manila? If you are a tourist or somebody who just came in from outside Metro Manila, you might think that Metro Manila is such a bad place to be when you read and watch horrible news stories on various media. You’d probably be one of those who would just stay inside their hotels and won’t even dare go out on the streets to enjoy and discover what Metro Manila is all about. This question might pop up in your head “Are there still good daytrip destinations in and around Metro Manila?” Let’s find out. Manila Ocean Park is the country’s first world-class marine theme park and a premiere educational facility. An integrated urban resort with marine life attractions and aqua-themed hotel, the park is geared towards an all-year, all-weather destination for locals and tourists. Everyday is a holiday and an ultimate fun place for all ages. It is just located behind Quirino Grandstand in Luneta Manila. **Entrance fee are for attractions only. The park opens from 10am to 9pm, Monday to Sunday and during holidays. 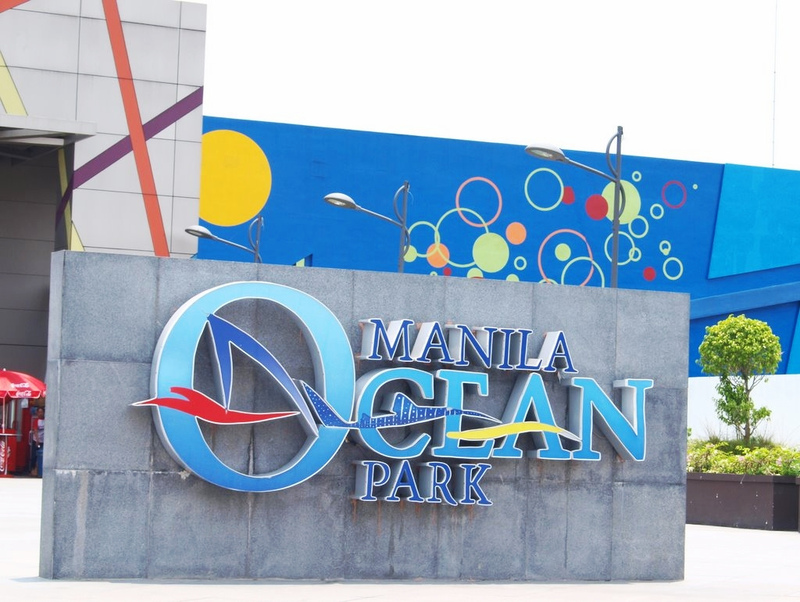 For more details on Manila Ocean Park, please visit their website at www.manilaoceanpark.com. SM By the Bay Amusement Park (SMBY) is a 1.5km long stretch of fun and pleasurable entertainment for every member of the family that features 16 unique rides. Conveniently located behind SM Mall of Asia, SMBY is considered as Storyland’s 7th theme park that offers thrilling rides such as the Nessi Coaster, Super Viking and a lot more. It is good to try the various rides and amusement at SM MOA by the bay. It’s gonna be a definite fun filled moment with the family. Rates: P50.00, P100.00 & P120.00 are the price range for the rides. There is also a Zipline and MOA Eye for the not so faint-hearted. To understand more about the Philippines — its history, culture and traditions, one should visit and not miss the National Museum of the Philippines. The National Museum, among its many other tasks, is a cultural institution that preserves and exhibits works of art, culture and historical artifacts representative of the Filipino’s unique cultural heritage. It is located at Padre Burgos Drive, City of Manila. The National Museum is open Tuesdays to Sundays, from 10:00 AM to 5:00 PM. Free admission on Sundays. Envisioned in the 1950s by the late artist, Fernando Zobel de Ayala y Montojo, the Ayala Museum became a reality in 1967 as a project of the Ayala Foundation, Inc. (then known as the Filipinas Foundation, Inc.). 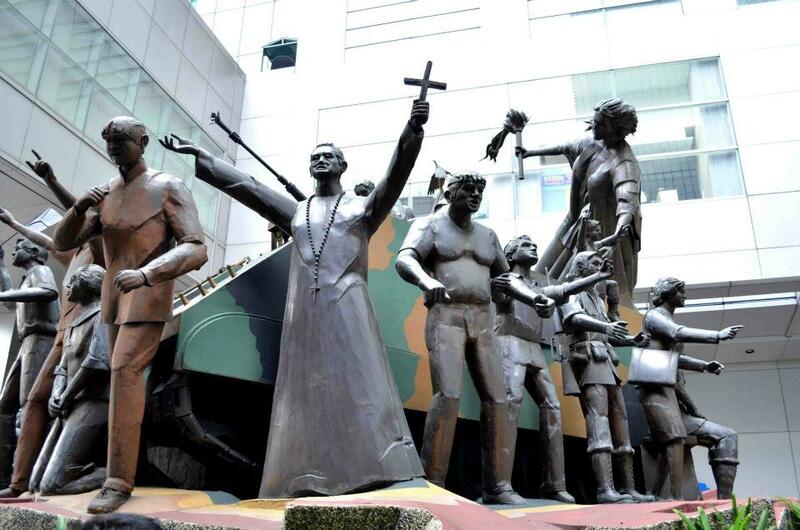 It was Ayala’s gift to the Filipino people in celebration of the Ayala Corporation’s 170th anniversary. “Re-collecting the past, re-presenting the future” best describes the Ayala Museum’s dual role as a museum of history and of art. As a service to the nation, the Museum works hard to bring home—“re-collect the past”—many of the country’s material treasures that have wound up in various parts of the world. This way, Filipinos who may have seen these priceless objects only in pictures, or who may not even be aware that they existed, will have the chance to view them up close, and in their homeland. At the same time, the fact that there is a global village to which the Philippines belongs makes it necessary for Filipinos to be aware of what goes on in the world, especially in the area of art. This is how the Museum “re-presents the future”—by making it clear that the contemporary Philippine art is a part of an international artistic community, where mutual cooperation and exchange are important. Forming the core of the museum’s historical collections are sixty handcrafted dioramas that chronicle the rich tapestry of Philippine history. The Ayala Museum also features a one-of-a-kind boat gallery showcasing miniatures of some of the watercrafts that contributed to the development of Philippine maritime trade and colonial economy. Archaeological and ethnographic objects from the country’s northern and southern cultural communities complement the historical collection. The Yuchengco Museum opened its doors to the public in September 2005. Its primary goal is to foster a greater public appreciation of art through the finest international as well as local cultural, historical, and design exhibits and programs. 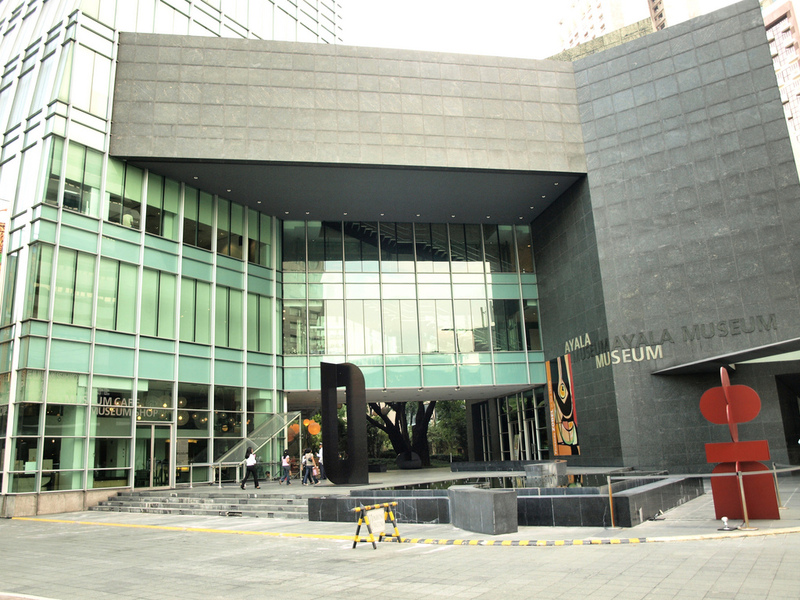 Located in Makati, the heart of Metro Manila’s financial district, the Museum is not only a “temple” that showcases art, but also a “forum” of exchange, debate, and education. The Museum was created to house the art collection of Ambassador Alfonso T. Yuchengco, and highlight his distinguished career as a businessman, diplomat, collector, philanthropist, patron of the arts, and advocate for education in the Philippines and beyond. 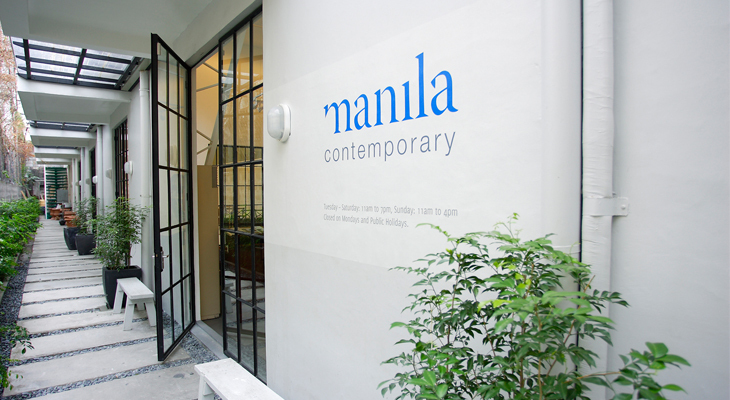 The Manila Contemporary, situated comfortably inside Pasong Tamo’s Whitespace building, has been in operation since December 2008. Its large, high-ceiling space (300 square meters in area), has played home to a large and impressive roster of artists from the Philippines and the greater Southeast Asia. Owing partly to its size, Manila Contemporary hosts twelve exhibitions in a year, including some of the largest group shows in the country. While it prides itself in exhibiting regional bigwigs, it has also been a welcome stepping stone for young and upcoming talent, all of whom have fared well under the curatorial oversight of Valentine Willie. Its exhibitions have explored numerous themes and styles, cutting across all media for love, religion, and even the more delicate matters of politics and existentialism. A smaller, upstairs section of the gallery is devoted to smaller exhibitions. The Shoe Museum was conceived in 1998 under then Mayor Bayani F. Fernando on the assumption that the City, being the Shoe Capital of the Philippines, can be a significant venue for nurturing the historical and cultural values of its shoe industry. It was opened in February 16, 2001 and was initially called the Footwear Museum of Marikina. Shoemaking is a striking manifestation of Marikenos’ industry, creativity, passion, and entrepreneurial spirit. The Shoe Museum captures these traits and, in the process, firmly establishes Marikina’s pre-eminent place in the country’s shoemaking industry. 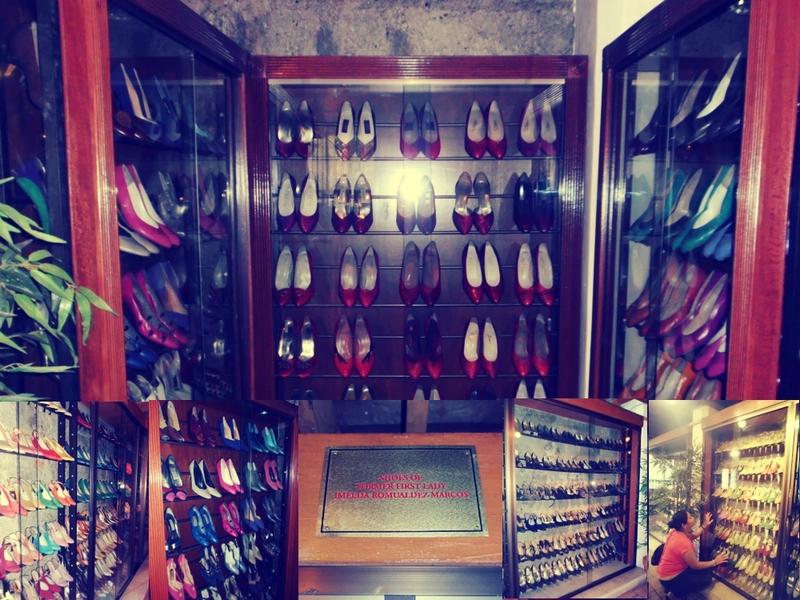 The main bulk of the shoes displayed inside the museum were shoes worn and collected by the former First Lady, Imelda Romualdez Marcos. It consist of 749 pairs from shoes made in Marikina to shoes made in Italy and almost every part of the world. The museum also showcases shoes worn from each president of the Philippines which were arranged in chronological order. Other shoes on display are those of celebrities, ambassadors, political figures and traditional shoes from various countries. On the 2nd floor, the museum holds the books and literature about shoe making with life-size mannequins depicting the art of shoe-making. You’ll also find some unusual shoe sizes like one being 3 feet long. The museum is located along JP. Rizal St. and just across the Our Lady of the Abandoned Church. 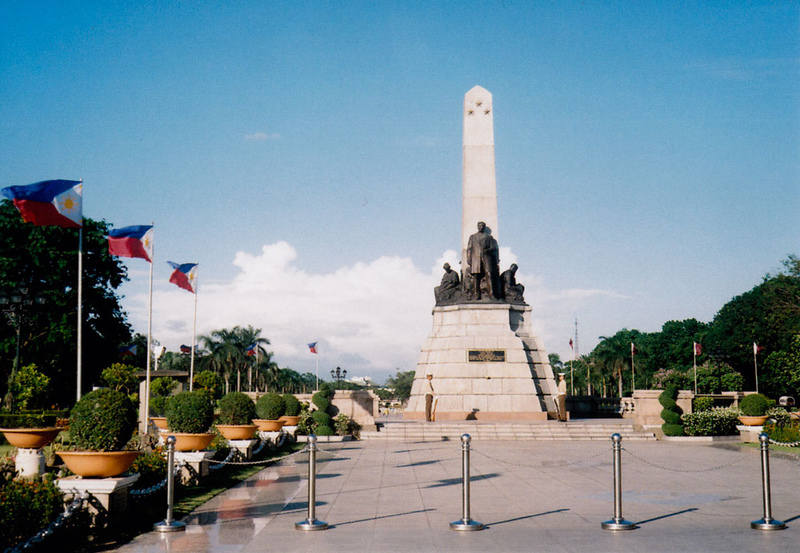 Rizal Park is the location where Philippine National hero, Dr. Jose P. Rizal was executed and enshrined. Among the attractions in the park are the replica of the Philippine Map, the execution marker of the Three Martyred Priests Gomez, Burgos & Zamora, the Botanical Gardens and the wonderful view of the sunset along the coastal waters of the Manila Bay. Rizal Park has also been the witness to most of the Philippines’ political transitions since most Presidents of the Philippines were sworn to office at the Grandstand. 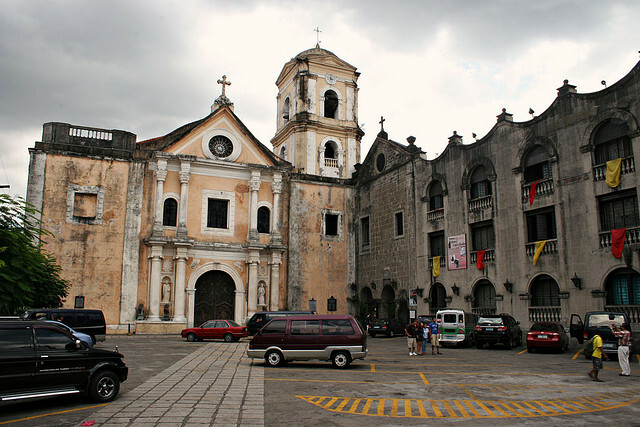 Two of the oldest Spanish influenced churches inside the walled city of Intramuros: The Manila Metropolitan Cathedral-Basilica, officially known as the Cathedral-Basilica of the Immaculate Conception and informally as the Manila Cathedral, is a prominent Latin Rite Roman Catholic basilica honoring the Blessed Virgin Mary as Our Lady of the Immaculate Conception, the Principal Patroness of the Philippines. 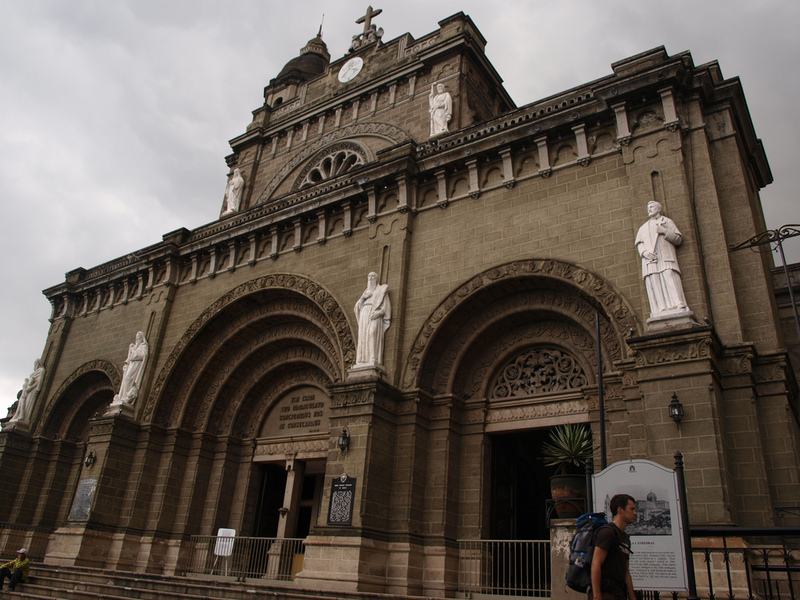 The cathedral serves both as the Prime Basilica of the Philippines and highest seat of the archbishop in the country. The San Agustin Church is one of four Philippine churches constructed during the Spanish colonial period to be designated as a World Heritage Site by UNESCO. 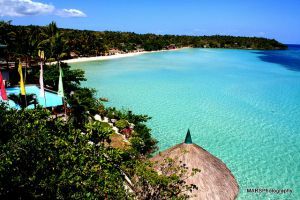 It was named a National Historical Landmark by the Philippine government in 1976. The church contains the tomb of Spanish conquistadors Miguel López de Legazpi, Juan de Salcedo and Martín de Goiti, as well as several early Spanish governor-generals and archbishops. Their bones are buried in a communal vault near the main altar. Famous painter Juan Luna, and statesmen Pedro A. Paterno and Trinidad Pardo de Tavera are among the hundreds of laypersons whose remains are also housed within the church. San Agustin Church also hosts an image of Our Lady of Consolation (Nuestra Señora de Consolacion y Correa), which was canonically crowned by Manila Archbishop Cardinal Jaime Sin in 2000. See how the rich and prominent families of Manila lived during the turn of the century. 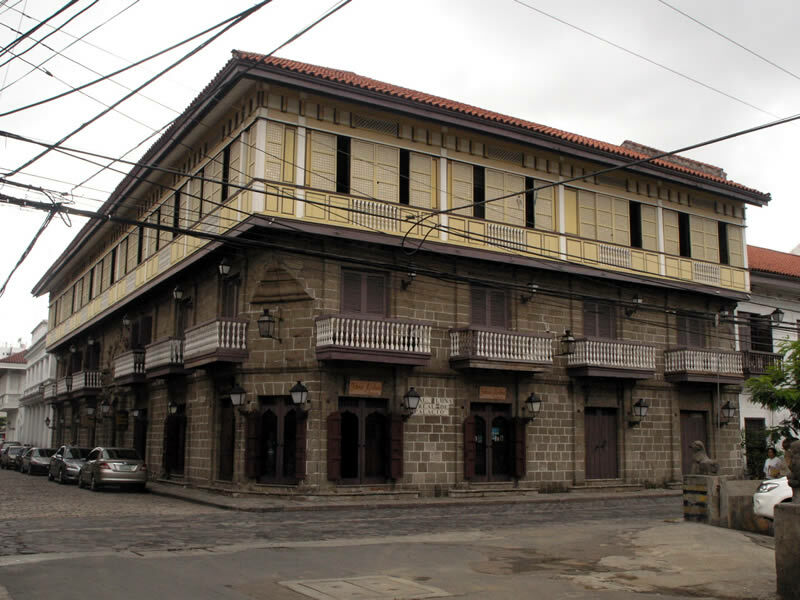 Casa Manila is a copy of an 1850’s San Nicolas House that was once located in Calle Jaboneros. The first floor is rented out to small businesses, like what they do during the old times. 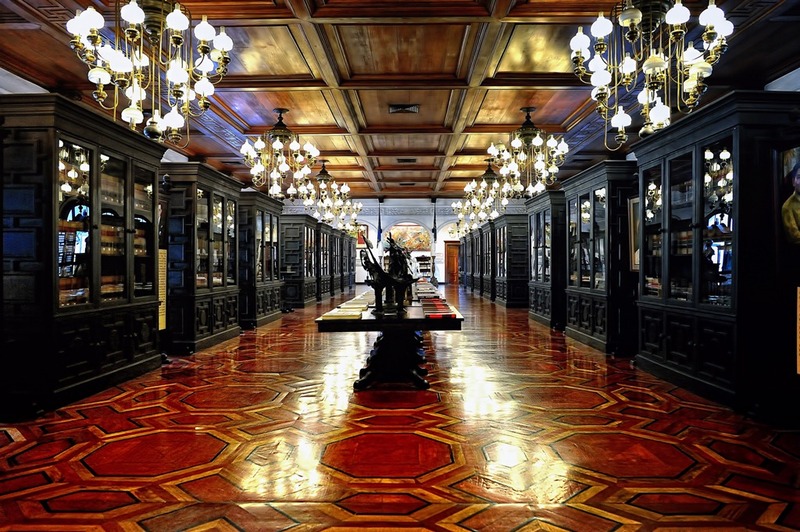 The second and third floor are museums that exposes the Architecture and the Interior design that was lost when the old families abandoned their old domains in Old Manila. Going to Casa Manila is an opportunity to take a good glimpse on how our forefathers lived under the Spanish era. It will make you proud to be a Filipino colonized by Spain, for without the Spanish influences, our culture would not be as exciting and diverse as it is today. Originally built in 1571 for Spanish conquistador Miguel Lopez de Legazpi. Fort Santiago or Fuerza de Santiago is the oldest Spanish fortress in the Philippines and one of the major attractions inside Intramuros Manila. The fort used to be the site of the kingdom of Rajah Suleiman, the Muslim king who ruled during pre-Hispanic Manila. It was named after Spanish patron saint Santiago Matamoros (James, Slayer of the Moors). It was a main port for the Manila Galleon, a spice trade between Europe and the Americas that lasted for 333 years. The fort functioned as the military base of the Spanish, American, British, and Japanese regimes. The Americans restored the fort and turned it into a public park in 1950. Today, among the Fort’s most well-preserved attractions are the Japanese-era M4 Sherman tank, WWII artillery and underground tunnels used by the Japanese, the former Spanish dungeon of the main square or Plaza de Armas, and national hero Jose Rizal’s former prison, Rizal Shrine. The bronze footsteps on the fort’s ground represent the final steps Rizal took from his cell to his execution site. There is also a light and sound museum narrating the heroic life and the final poem (or Mi Ultimo Adios) of Rizal. 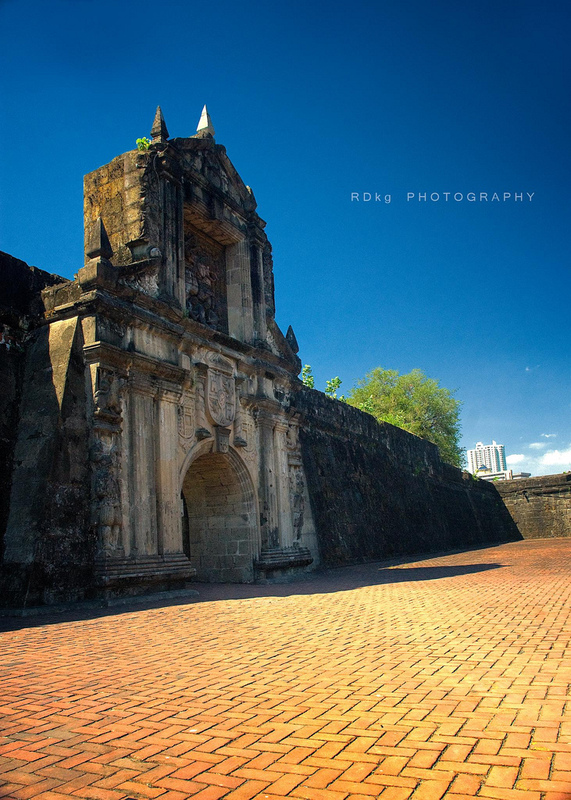 Apart from attracting tourists for its history, the fort is also a renowned wedding and picnic destination for its well-manicured gardens, traditional calesas or Spanish-era horse-drawn carriages, and guardia sibil or guards dressed to their original attire during the Spanish colonial rule. The fort is open daily, from 8 a.m. to 6 p.m. Entrance fees: adults P75, students/children/teachers P50, free of charge for disabled and senior citizens. Students, teachers and seniors must bring a valid I.D. 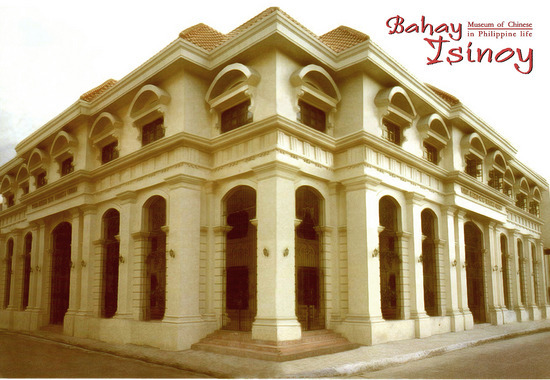 The Bahay Tsinoy Museum showcases the heritage and influences that the Chinese had contributed to Philippine life. It depicts Chinese influences since the pre-Spanish era to the present. It showcases how the Chinese help shape through their ethnic, cultural and economic contributions what Philippines is today. The museum is located within the walled city of Intramuros in 32 Anda corner Cabildo Streets,Intramuros, Manila. Museum Hours: Tuesdays – Sundays: 1:00 – 5:00 p.m., Closed on Mondays. Entrance Fees: P100 for adults P60 for students and children (Children/Students, please show valid ID). Rates may change without prior notice. Malacanang Palace is the White House of the Philippines. Not as well known is the fact that it also houses a museum and a public library available to the public for viewing on published schedules. Inside Kalayaan Hall is Malacañang Museum, the heart of the complex. Built in 1920, it features exhibits and galleries showcasing the legacies of the country’s presidents. Among the presidents’ personal collections on display are religious images, campaign posters, gifts of foreign VIPs, photographs, President Ramon Magsaysay’s riding boots, President Carlos P. Garcia’s chess set, President Gloria Macapagal-Arroyo’s necklaces, people power paraphernalia of Corazon Aquino, and mementos from Fidel V. Ramos. The Presidential Museum and Library is open to public tours from Monday to Friday, from 9 am to 12 noon, and from 1 pm to 3 pm, except public holidays. Public visitors are charged a regular fee of P50.00 for adults, and P30.00 for concessionary groups such as students and senior citizens. Be wary of strict security measures. You will also be accompanied by a guide or a presidential security guard in touring the palace. Visitors are only allowed in the main halls and in the reception areas. There are many restricted areas like the president’s quarters and the room being used for cabinet meetings. Yes! There are still good “daytrip” destinations in and around Metro Manila. It is rich in heritage, with lots of cultural remnants of the past, yet modern and forward looking. 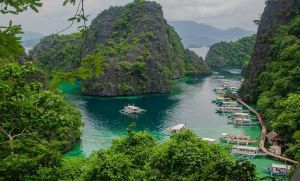 Before trying out destinations outside of Metro Manila, why not try and visit these “daytrip” destinations? 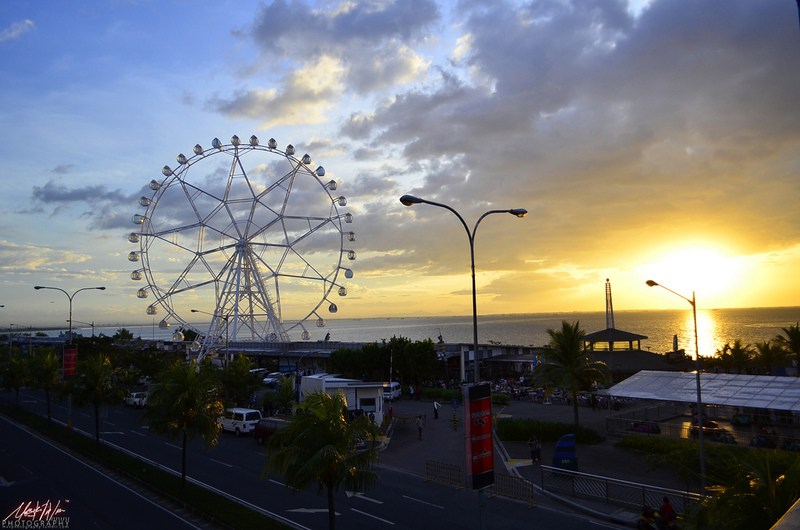 We’re sure you’ll have fun exploring what Metro Manila has to offer! Feel Free to Like and Share with your friends!